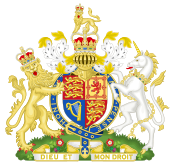 ↑ 1.0 1.1 Overview of the UK system of government : Directgov – Government, citizens and rights. Archived direct.gov.uk webpage. Retrieved on 29 August 2014. ↑ "Legislation". UK Parliament. 2013. สืบค้นเมื่อ 27 January 2013. ↑ "Queen and Prime Minister". The British Monarchy. 2013. Archived from the original on 14 April 2010. สืบค้นเมื่อ 27 January 2013. หน้านี้แก้ไขล่าสุดเมื่อวันที่ 15 มกราคม 2562 เวลา 08:18 น.